"- I am the resurrection and the life. That touches a man's in most heart. – It does, Mr Bloom said. Your heart perhaps but what price the fellow in the six feet by two with his toes to the daisies? No touching that. Seat of the affections. Broken heart. A pump after all, pumping thousands of gallons of blood every day. One fine day it gets bunged up: and there you are. Lots of them lying around here: lungs, hearts, livers. Old rusty pumps: damn the thing else. The resurrection and the life. Once you are dead you are dead. That last day idea. Knocking them all up out of their graves. Come forth, Lazarus! And he came fifth and lost the job. Get up! Last day! Then every fellow mousing around for his liver and his lights and the rest of his traps. Find damn all of himself that morning." Who was this man and why is so much fuss still made about his writing? Especially if you aren't familiar with Homer, if the references go right past you and it takes reading a concordance longer than the primary work to have a prayer of understanding anything. Few of us now receive a classical education, at least here in the U.S. I can't speak for other countries. A few generations younger than Joyce, I never had to read Homer, though I earned a B.A. in English literature without it. My education started with Beowulf, continuing forward not far past the Victorians but if I had to read short passages of Homer I've wiped it from my memory. So, does obscurity make the genius? And what's his significance outside the university if it takes a Doctorate to make heads or tails of his work? One Dubliner friend of mine once told me, "Joyce was a fraud." I don't recall that she ever elaborated but I know she's not the only one to believe such. But there is help and I know I've mentioned this before but it being Joyce's birthday a repeat couldn't hurt. Frank Delaney, an Irish writer, has been going line by line through Ulysses , since June 14, 2010, recording podcasts to help those of us without benefit of the aforesaid classical education read and appreciate Joyce's most famous work. And, by the way, he forecasts the whole project will take 25 years. Interesting the man NPR deemed "The most eloquent man in the world" is translating the most obscure. Ironic, actually, while also most generous of heart. 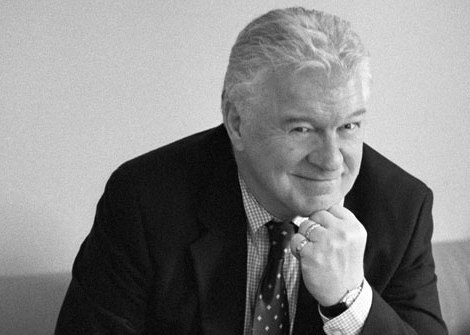 Delaney is an Irish novelist, broadcaster, BBC host and Booker Prize judge. I'm a bit impressed and hugely humbled by a man of such broad talent and dedication to advancing the spirit of James Joyce to countless others he'll never meet. I suppose his thanks lies in personal satisfaction, knowing what he's doing is appreciated from the feedback of a very few. It's also a damned good exercise for his own brain. Not a slouch, this one. 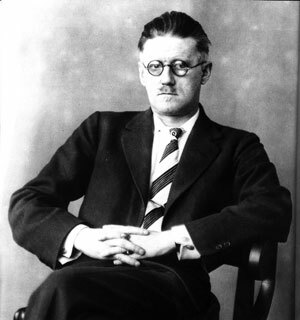 So, happy birthday to James Joyce. I'll begin my personal wrangle with you on Bloomsday this year, relying on the grace of Frank Delaney to nudge me along, my question being will it take 25 years to read if it's taking Delaney 25 years to produce the guidance? Ah, but when I'm done won't I lord it over the rest of the world. Frank Delaney I am not. "I've put in so many enigmas and puzzles that it will keep the professors busy for centuries arguing over what I meant, and that's the only way of insuring one's immortality"
Although I have no interest in tackling Ulysses, and actively hated A Portrait of the Artist as a Young Man, I absolutely adore The Dead. Joyce gets my birthday wishes just for that. Previous Post Amazing new invention: the BOOK!